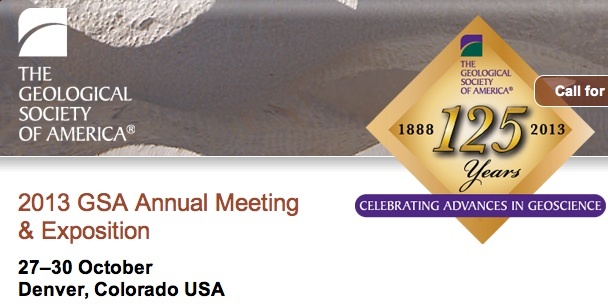 RIEGL USA will be exhibiting at the 2013 Geological Society of America (GSA) Annual Meeting & Exposition. The 2013 GSA Annual Meeting & Exposition will be held at the Colorado Convention Center in Denver, Colorado from October 27 through October 30, 2013. RIEGL USA will be exhibiting at Booth 222 during the conference. Please be sure to come by the booth to talk to our representative about any questions that you may have about our hardware and software solutions and see demonstrations with one of our VZ-series terrestrial laser scanners! RIEGL USA looks forward to a successful conference and to seeing you at the 2013 GSA Annual Meeting & Exposition!